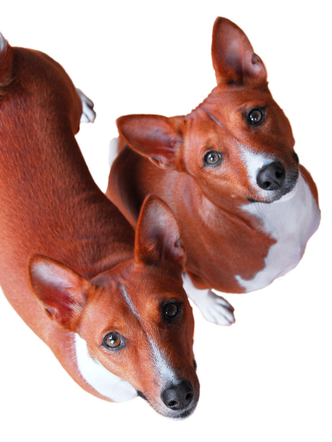 A Basenji is in a constant state of chronic curiosity, with the snoop radar permanently turned on, where everything possible must be quality (chew) tested. Werther a new pair of shoes in the hallway or something funky smelling under a bush, all things are equally important to explore in the quest for a new discovery. This means, anything that can be eaten will be eaten. At early age Keeyo developed allergy to grains and corn. snacks free from grains and chemical additives. Needless to say, my search proved to be a hard one. I decided to make my own. it came natural to compose a variety of dog-preferred flavors that are based on yogurt, fruits, unprocessed vegetables and freeze dried proteins.